Peter is a Partner in the Commercial Property department and heads up the Southampton and London team. Peter specialises in retail, portfolio management, development and property finance. His work includes acquisitions and disposals of freehold and leasehold property for investment and development, substantial landlord and tenant work acting both for large institutional landlords and tenants and smaller enterprises, drafting and negotiation of heads of terms and development agreements (incorporating overage, construction and collateral warranty provisions), property finance (including the securitisation of debt against property portfolios), the provision of Law Society form Certificates of Titles and general property management work. Peter acts for some of the firm’s major clients in these sectors, including Fat Face, Orvis, PamPurred Pets, New Earth Energy, HSBC and Lloyds. Peter is also relationship partner for one of the firm’s key local authority contracts. 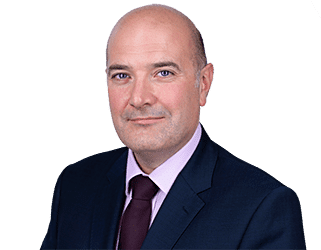 Peter has invested considerable time in developing his team over the years and with 20 solicitors and 5 support staff, their expertise spans all disciplines within commercial property and development. They pride themselves on their ability to understand the needs, requirements and focus of each and every client. Peter joined Clarke Willmott as a partner in May 2011, having previously worked at Shoosmiths since March 2006. Peter qualified with Bevan Ashford in 2004, having trained in London, Bristol and Exeter. Peter is a member of the Southampton Property Association and Hampshire Chamber of Commerce. Property Management – Peter is relationship partner for a large clothing retailer and his team manage the property portfolio. The work includes contested and non-contested lease renewals, property litigation, regearing and relocating of stores and general property management. The team also act for Orvis and PamPurred Pets in connection with their portfolios, and have recently secured instructions from a café operator in connection with their acquisition programme. Property Finance – Peter has developed a strong reputation in the market for property finance and acts for key financial institutions in connection with the securitisation of debt. Peter’s team recently completed a £30m refinancing of a 600 strong property portfolio, undertaking full due diligence. Local Authority – Peter is relationship partner for one of the firm’s key local authority contracts. The team that Peter has developed to work on the local authority mandate have invested considerable time in understanding the needs, requirements and focus of the Client. The instructions from legal services are often varied and wide ranging, and can involve a great deal of complexity. The total team size now extends to some 20 lawyers spanning across various disciplines including commercial property, property litigation, construction, planning, employment and commercial contracts.